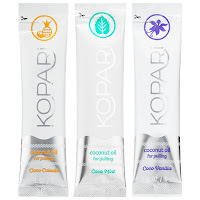 The Co Founders of Kopari Beauty are Kiana Cabell and Gigi Goldman. These two are from different generations but shared a love of coconut oil from the get go. They love all of the multitasking things coconut oil can do because it is microbial, hydrating, healing and more. They both use coconut oil in their day to day lives as a "cure all" for everything according to and article from Los Angels Confidential. Gigi came up with the idea for a pure coconut oil based beauty brand due to her love for the ingredient. She brought Kiana on board, who really embodies the brand herself, and who helps with marketing, branding and more. 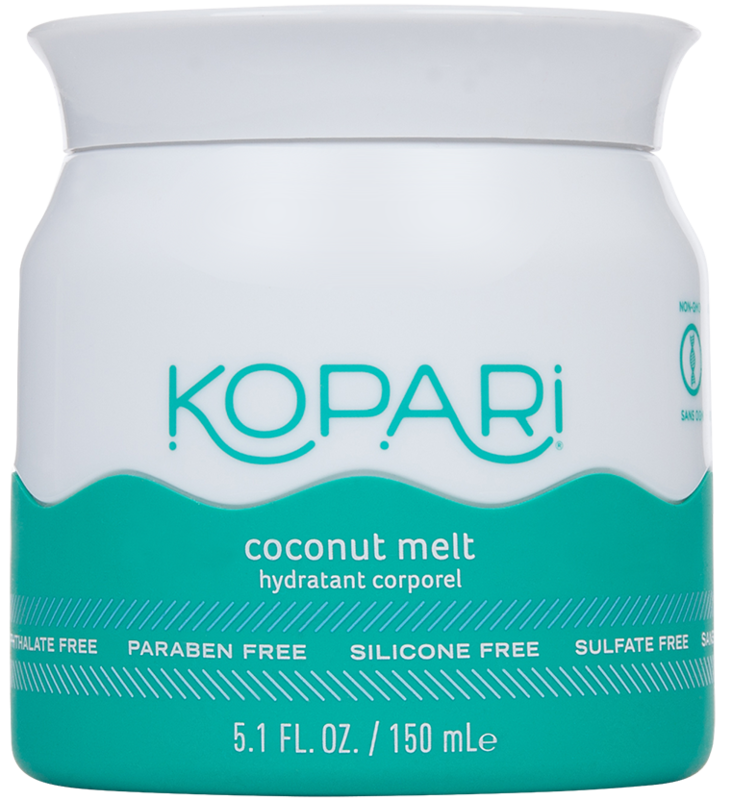 Kopari Beauty is a skin care and hair care brand that uses 100% pure, organic coconut oil as the base of each of their products. This coconut oil is sustainably sourced from small family farms in the Philippine, which I think is super cool. Kopari's website says "We believe everything you put onto your body matters. Each one of our products is made with luxurious skin-loving ingredients for all of your beauty needs." and their products are all sulfate free, paraben free, phthalate free, cruelty free and vegan. Now as is the case with every single brand breakdown I have not tried every single item Kopari offers. I would LOVE for you to drop comments below about your experiences with the brand and what items you loved or didn't care for so much. So here's the deal. This stuff is amazing BUT it's literally just solid coconut oil. Nothing else. Yes it's organic and pure coconut oil, which has vitamin E and tons of great things about it, but you can head to your local health food store like Sprouts, Good Earth and Whole Foods and pick up a container of Fair Trade Organic Coconut oil for far less than $28. You can use solid coconut oil for all kinds of things like hydrating your hair, shaving your legs, as a body butter, and more. This is a diverse product for sure, and it works well, but I don't think the cute packaging is worth the huge mark up. I love a good scrub! I was super excited to try this but when I looked at the ingredients I noticed something sad, beeswax! The first issue with the beeswax is that on the site they say all their products are vegan. Vegans don't use anything from animals, even animal produced products so beeswax isn't vegan. The second issue is that beeswax is a filler that is seriously unnecessary. 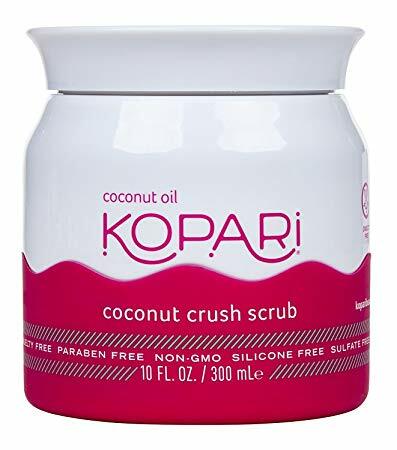 When you put the wax in your scrub it helps to keep the crystals suspended so they don't all sink to the bottom of the scrub, but coconut oil does that on it's own when it's in it's raw original form. Wax also create a coating on your skin that can trap in moisture, but will also keep moisture out. It's not a great ingredient. Next we have Silica listed. This is a major issue because the product says right on the label that it is silicone free, but silica is a form of silicone. It has a similar effect on your skin as beeswax. It's not that these two ingredients are horrible for your skin, but that they void claims made by the company in general. Plus coconut shells are the exfoliating ingredient in this which is mildly concerning to me. I am very conscious of what we are putting into our oceans right now. What goes down your drain matters, especially if you live near a coast. Coconut shells are not water soluble. They will basically become one with the sand, so it's not the end of the world, but there is a reason brands aren't allowed to use plastic beads in their scrubs anymore. Sugar and salt like most scrubs use do dissolve in water, so I prefer those myself. So now that I am done pointing out ingredients issues I will get down to my experience using this product, which was that this scrub was very average. I have personally made better scrubs at home myself using just sugar and coconut oil, along with essential oils for fragrance and sometimes a little argan oil or shea butter too. I will post a recipe for that on my blog soon. This is a good product. Lip gloss has made it's way back after a few years of the matte lip being the big thing. I am so happy because matte lipstick is so drying for your lips and I love glosses (even though my hair gets trapped in them). This tinted gloss is also treatment. 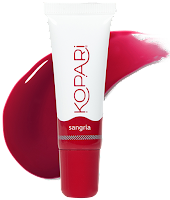 It's super hydrating, glides on smoothly and has that perfect kiss of color that isn't overpowering, but is still visible. 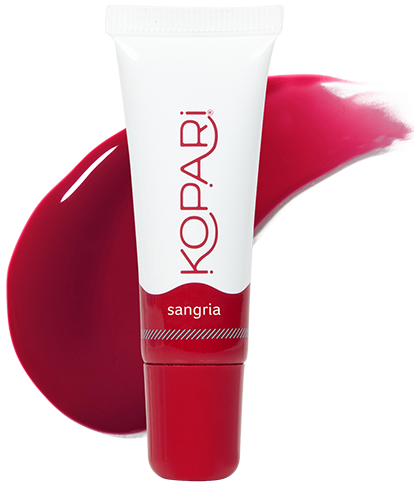 It doesn't feel sticky or tacky on my lips and I really enjoyed using it. My lips definitely felt softer and more hydrated after a couple of days of wearing this. 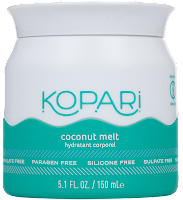 This product stood out to me as the first I found on the website that didn't have coconut oil as it's first ingredient. Unfortunately the first ingredient is Ethylhexyl Palmitate which is incredibly comedogenic (which means it clogs your pores easily). You can click here to learn more about that. I won't lie I didn't even use this product. I wanted to be able to use and review their whole Coconut Skincare Essentials set, but I couldn't bring myself to put this on my face. I read the ingredients and knew it wouldn't be a good choice for me. There are also some other ingredients that could be a bad choice if you have oily skin or large pores. It also has several ingredients that could trigger fungal acne if that is something you are concerned with. Here is another product I liked. Despite Coconut oil not being the base ingredient of this one either, the ingredients list was clean. A good toner will be a pure shot of lightweight hydration and a great toner will also include some healing ingredients that can help to calm and repair skin that might have been damages during cleansing or exfoliation. This product does both. I am a major fan. This is another product that passed my ingredients test! I am a big fan of this. My skin felt baby soft after using it and it contained a lot of great hydrating and skin loving ingredients. The facial oils and moisturizers we use possibly matter the most when it comes to comedogenic ingredients, and this one is really good. IF you have huge pores that clog often you may want to steer clear of this line as a whole, an choose oil free product, but otherwise this is not a bad pick. However I do not recommend the line's face oil which has multiple comedogenic oils in it like Squalene. Oil pulling is all the rage right now. It's the idea that swishing around real organic oil in your mouth for a few minutes before brushing your teeth will pull the toxins out of your mouth and teeth and gums and create a much healthier mouth for you, as well as whiter and brighter teeth. There is a lot of research to back up those claims, but I was curious about this set. Why are we paying a premium when you can buy oil at Walmart that works well? I have tried oil pulling and honestly I hate it. It's a weird feeling having to swish warm oil in your mouth. It's not pleasant at all. 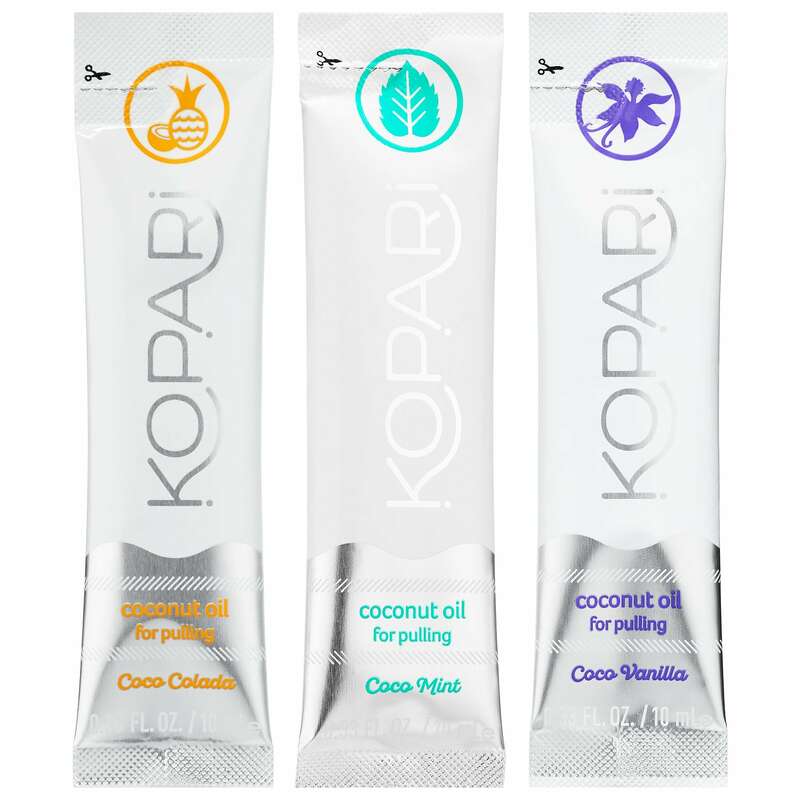 Kopari makes oil pullers that are individually packaged so they are convenient. They are also flavored which makes the experience better. They have three flavors. Mint, Vanilla and Pina Colada. The mint was my favorite, and the vanilla was horrible. It was super sweet and strong. I like the pina colada although it was still to sweet for me. But the experience had me wondering, how hard would it be for me to flavor my own coconut oil with essential oils and herbs I like to make a better experience without the premium pricing? Not only to save money but because the individual packages create waste. So this line was hit and miss for me. The Face Cream and Rose Toner were the two items I felt like might be worth buying. The other items I like I felt you could buy locally or make yourself for a third of the cost. 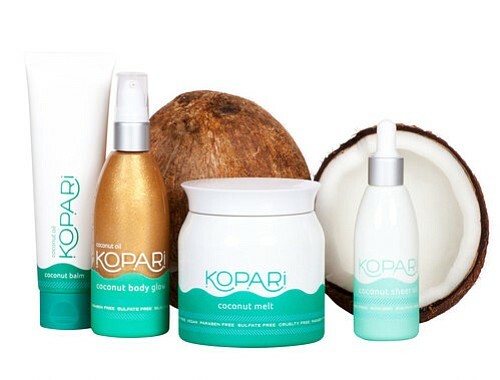 But really to me Kopari Beauty is a great example of why we can't trust marketing or packaging. There are a lot of subtle lies and buzz words used in this brand that tells you their products are the highest quality, when they use ingredients that are straight up horrible for your skin (like in the cleanser). Beeswax is in more products than I pointed out making this line not vegan as a whole, despite their site saying it is. But they expect you (the consumer) to just trust their labels. This is why it is SO important to know the ingredients on each item. Not all of these are bad, but the ones that are really are.